Are all the newer cars on the street making your ride jealous? Okay, your car doesn't have to be old to lack the OnStar functionality that some vehicles offer, allowing owners to track stolen vehicles or determine why their Check Engine light is on. Regardless, there are ways to give your car these features, and one of them now comes from Verizon. Today the carrier has announced Hum. For $15 a month (and $13 for any additional vehicles), Verizon will send you a two-piece kit with built-in GPS that can help law enforcement find your stolen vehicle or point you towards your last parking spot. You can also receive diagnostic information or request roadside assistance. One part of the setup is an onboard diagnostic reader that goes into your vehicle's ODB port, similar to the Automatic Link or whatever dongle you bought to configure Dash. 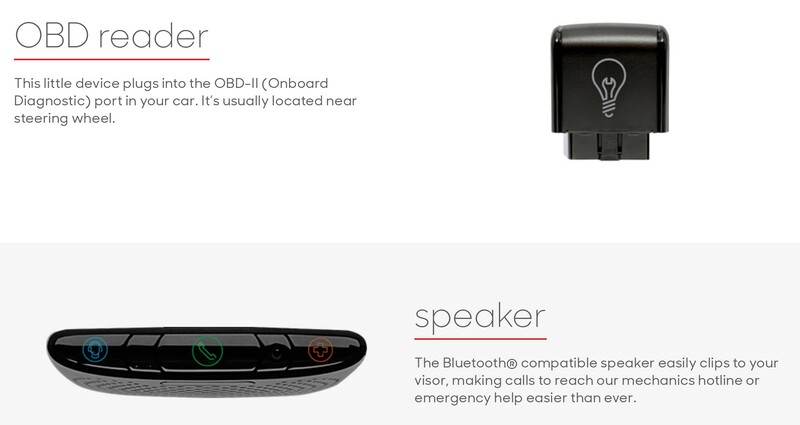 The second, Bluetooth-enabled piece of hardware clips to your visor. Hum, which was originally announced in January as Verizon Vehicle, comes with a companion app available for Android and iOS. You don't have to be a Verizon customer to sign up, and since this is Big Red's network we're talking about, you should actually have signal throughout most of the country. You can place an order now at hum.com. ATLANTA, Aug. 26, 2015 /PRNewswire/ -- Verizon Telematics today announced the commercial availability of hum, an aftermarket vehicle technology and subscription service that enables drivers on the road to make their car smarter through a simple solution regardless of their wireless service provider. First announced in January at the North American International Auto Show as Verizon Vehicle, hum provides subscribers with a self-installed solution that helps predict potential issues, prevents breakdowns and offers protection when problems do arise. At the simple press of a button, drivers receive diagnostic information, pinpoint roadside assistance and live consultation with ASE-certified mechanics and emergency personnel on-demand. "Hum is an important service, one that we feel passionately will help save lives and keep drivers and their loved ones protected whether they are traveling across town or across the country," said Andrés Irlando, CEO at Verizon Telematics. "This service equips drivers on the road today with the same level of information about their vehicles that fitness wearables deliver about our health. Simply put, hum democratizes the safety and convenience of vehicle connectivity." Powered by Verizon Telematics technology deployed to some of the world's most prominent automakers, insurance companies and fleet managers for more than a decade – as the telematics service provider's first direct-to-consumer offering – hum is compatible with more than 150 million passenger vehicles on the road today. Subscribers simply install hum through an onboard diagnostic (OBD) reader that is plugged into the vehicle's OBD port, and a Bluetooth-enabled device that is clipped to the visor. The monthly subscription also includes a smartphone app allowing subscribers to monitor their vehicle health, contact help, and manage maintenance needs, even when they are not behind the wheel. 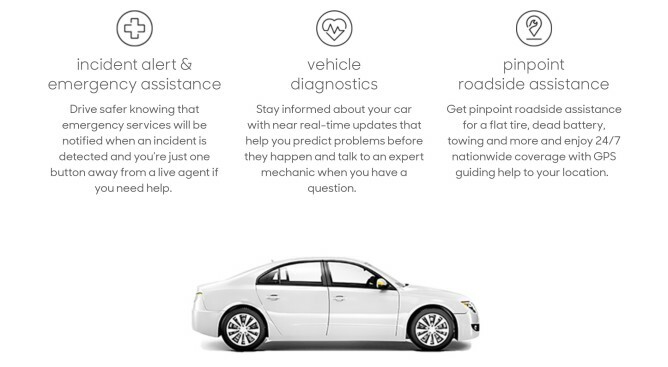 Through GPS-based technology, hum helps accurately dispatch advanced roadside assistance, alerts emergency personnel of a car's location if a crash is detected, and assists authorities in locating a vehicle that has been reported stolen. "By modernizing traditional 'roadside assistance,' hum is designed to deliver ultimate peace-of-mind behind the wheel," Irlando added. "Now, in addition to being protected with live help and emergency services, drivers will know what their check engine light means and will be empowered with information and knowledge on how to get the problem fixed and what it may cost." Pinpoint Roadside Assistance for breakdowns, flat tires, overheating, dead battery or virtually anything else that might require towing or roadside assistance. Incident Alert & Emergency Assistance notifies the hum emergency response center if the system detects an incident. Help will be dispatched to the vehicle's GPS location if an accident is confirmed or if there is no response from the driver for additional support. Drivers can also initiate a call at the push of a button to speak with a trained, live agent. Auto Health & Diagnostics helps predict and prevent mechanical issues before they become bigger problems by giving subscribers' insights into their car's health via the hum web portal and smartphone app. Mechanic's Hotline connects subscribers with ASE Certified Mechanics providing personalized, immediate and unbiased consultation related to their vehicle's repair and maintenance issues. Parking & Meter Tools help drivers find where they left their vehicle — using the hum smartphone app — while also keeping tabs on how much time is left on the meter. Maintenance Reminders and Alerts can be set for oil changes, tire rotations and more. Additionally, hum will automatically alert customers to vehicle troubles and general manufacturer recalls. Stolen Vehicle Location Assistance is available at the subscriber's request – hum can provide information to authorities in order to help locate the stolen vehicle. Travel & Repair Discounts include hotels, vehicle rentals, related travel expenses, and auto maintenance. Two year subscription plans start at $14.99 per month plus taxes, fees and equipment for the first vehicle (including the hardware, valued at $120) with the option to add other vehicles for less. For more information and to purchase hum, visit hum.com.